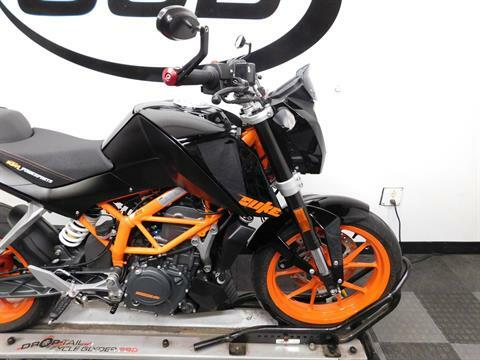 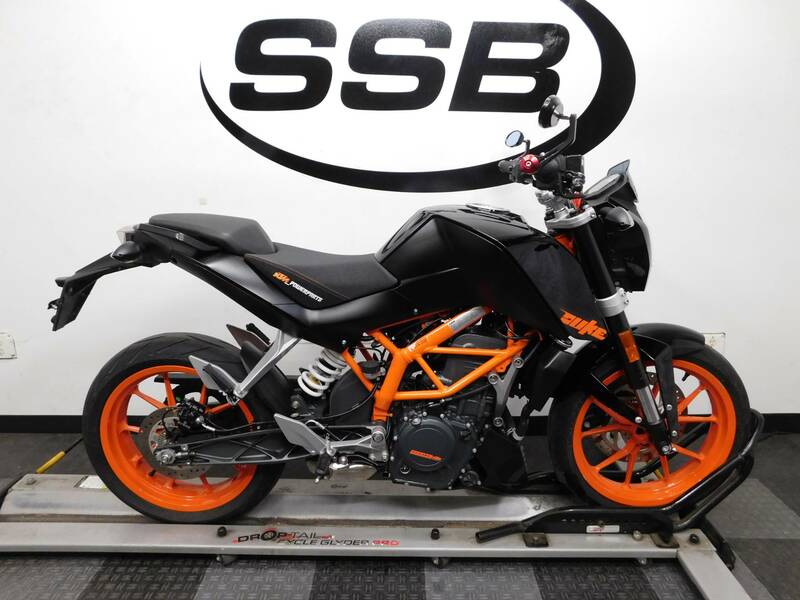 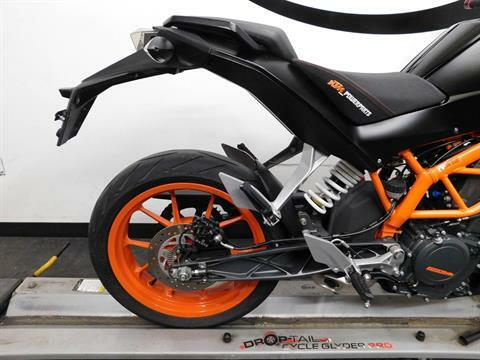 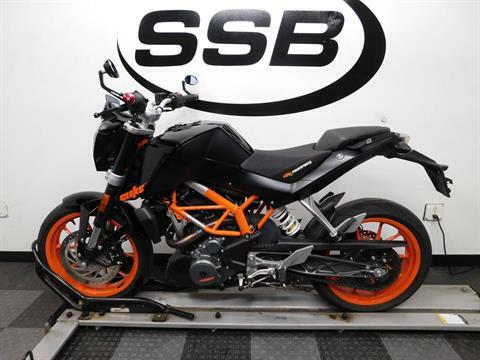 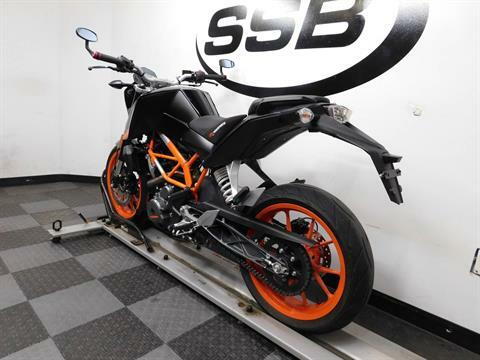 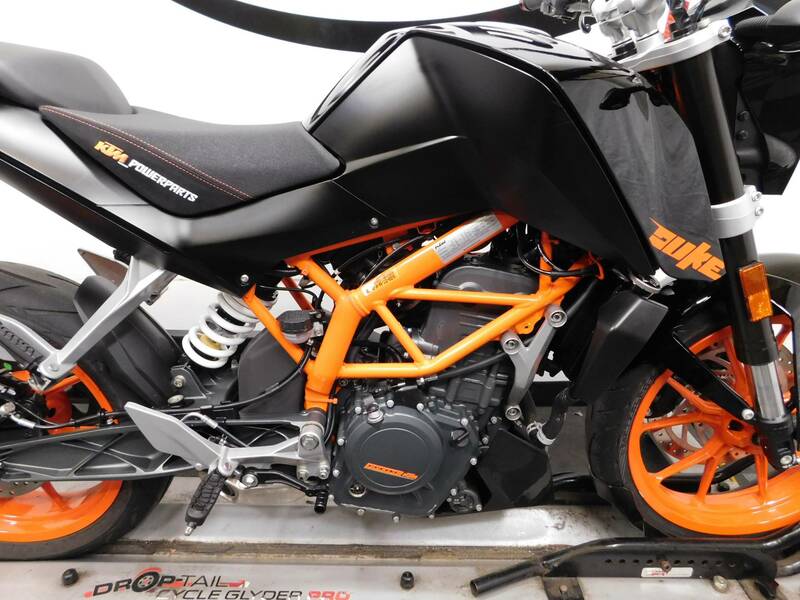 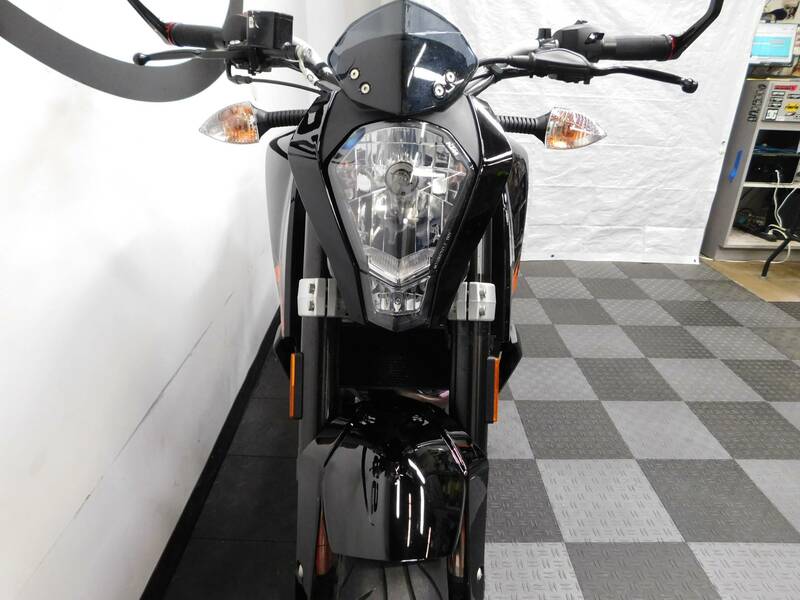 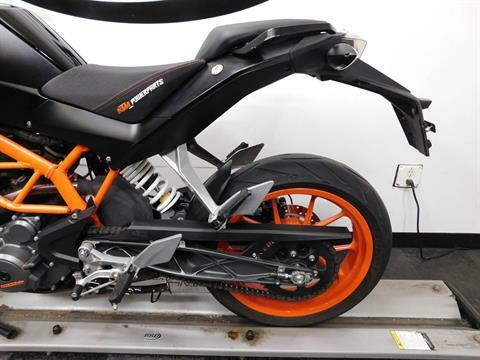 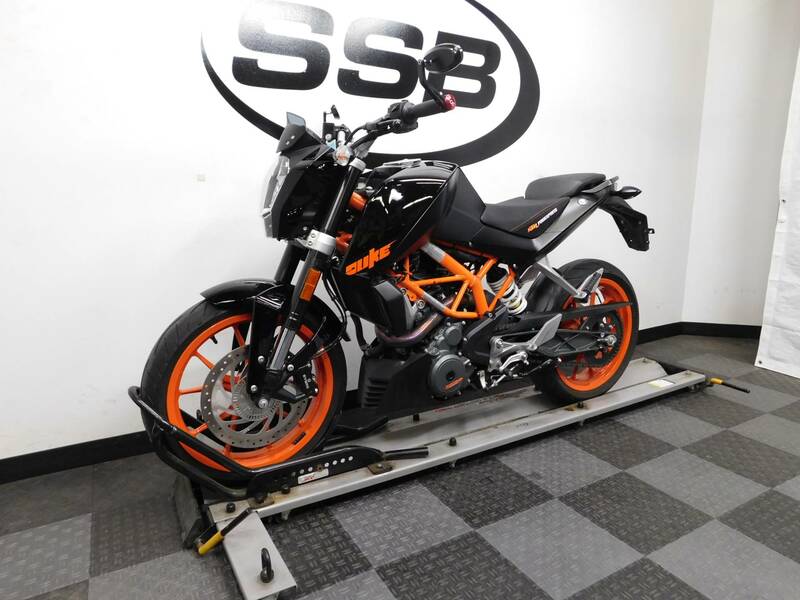 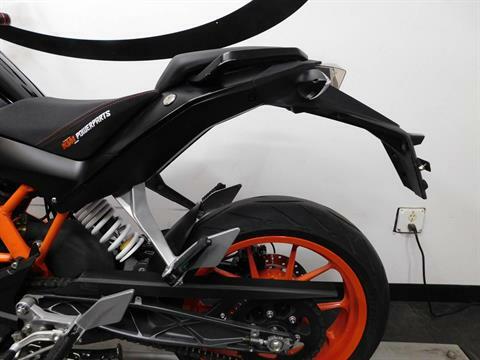 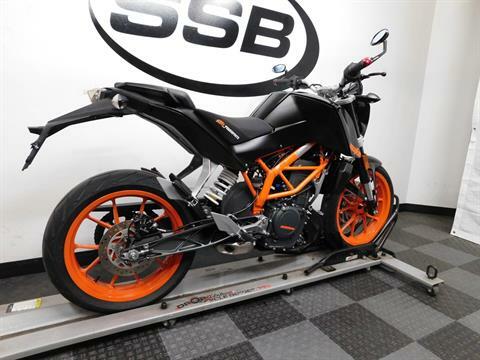 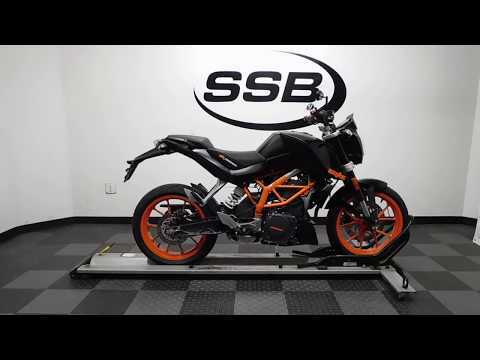 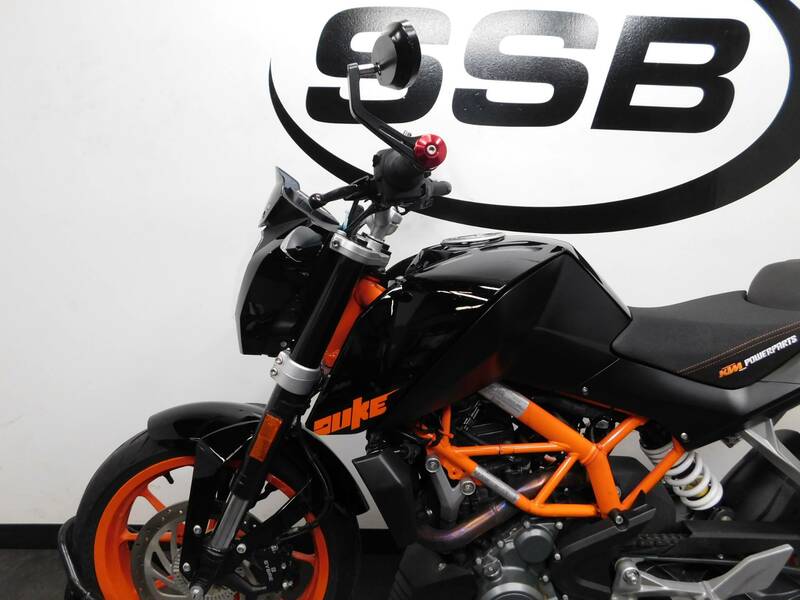 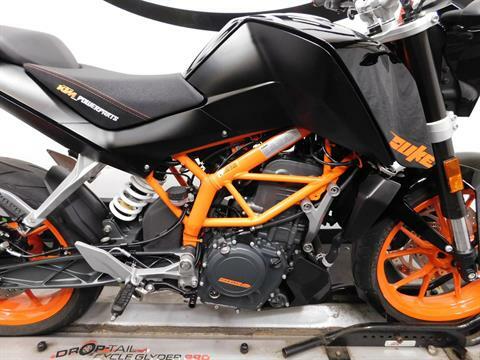 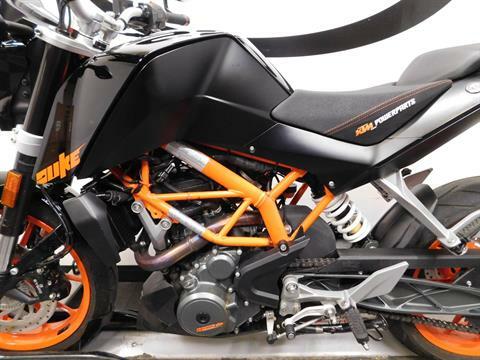 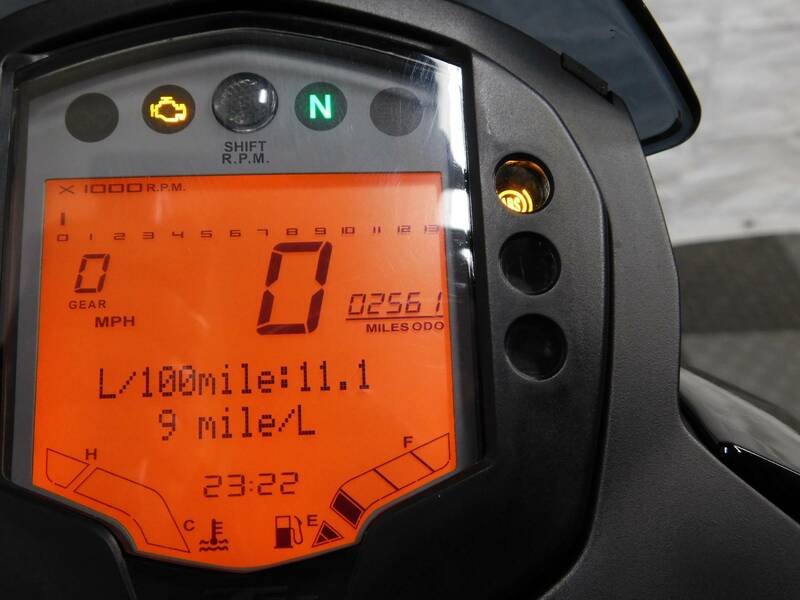 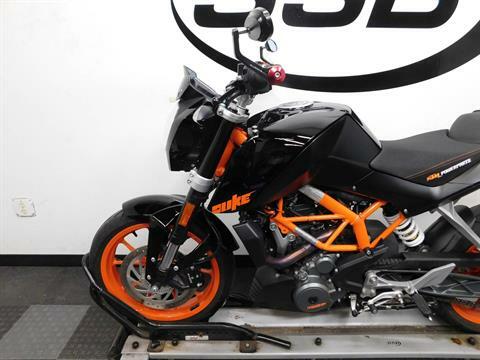 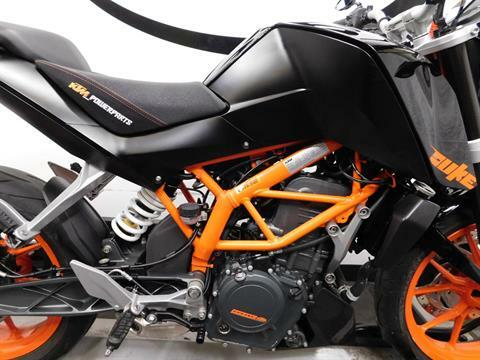 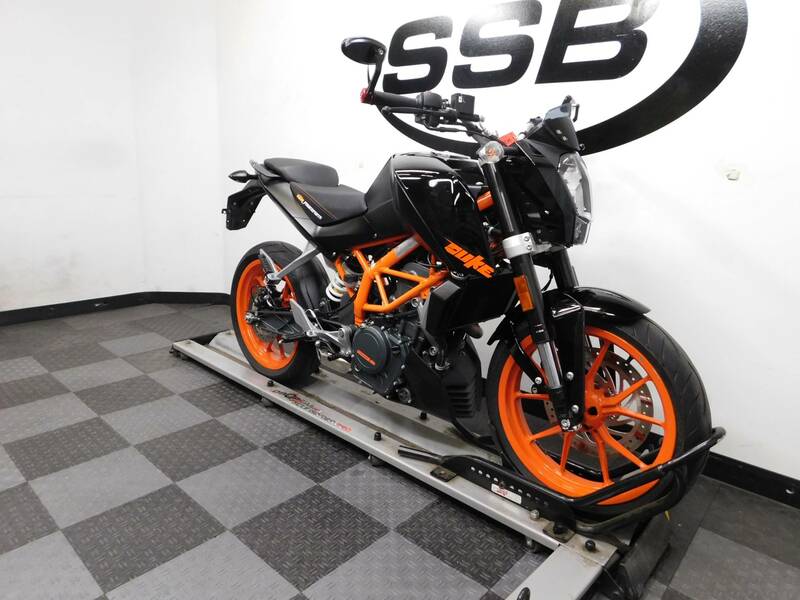 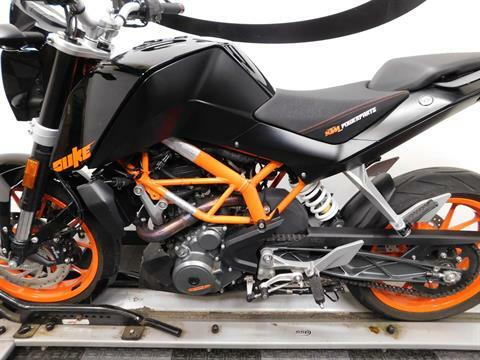 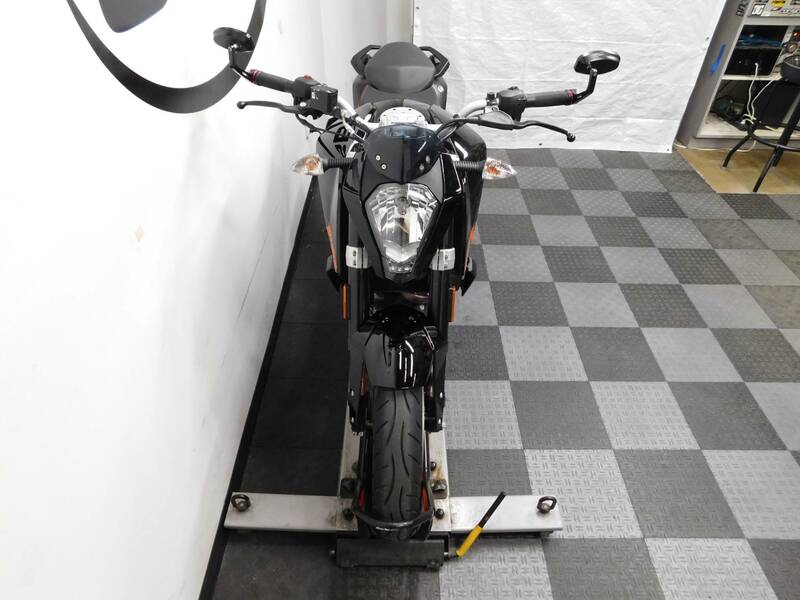 This 2016 KTM Duke 390 with ABS is in awesome condition with only 2,560 miles on it! 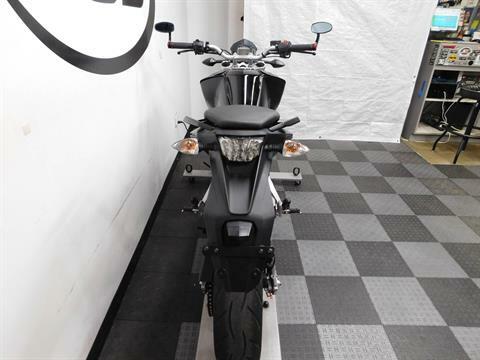 This rare motorcycle is still very clean looking even with some minor tip over damage on the right side. 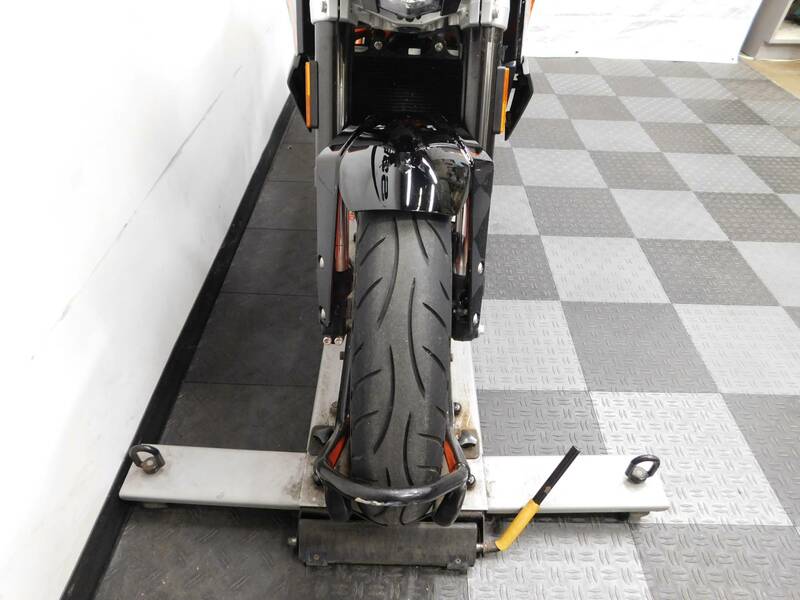 The bottom of the fork, the engine cover, and the foot pegs were scraped up, as well as the handle bars got tweaked, so service will be replacing them. 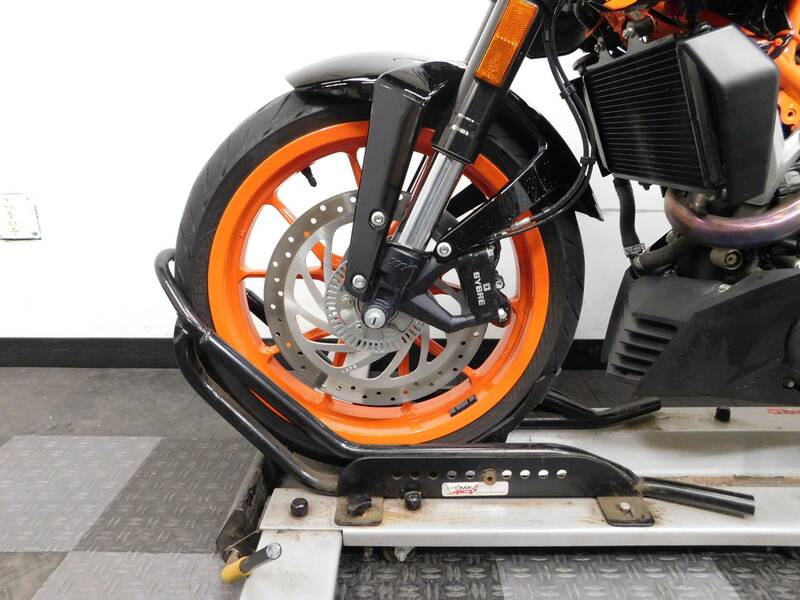 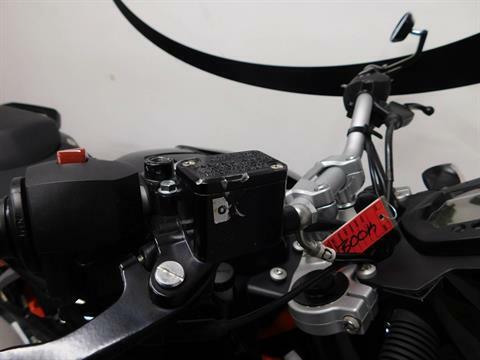 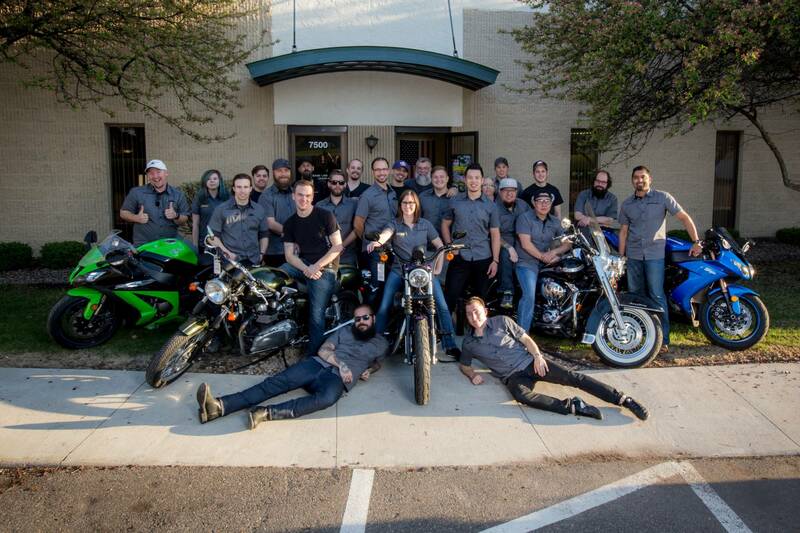 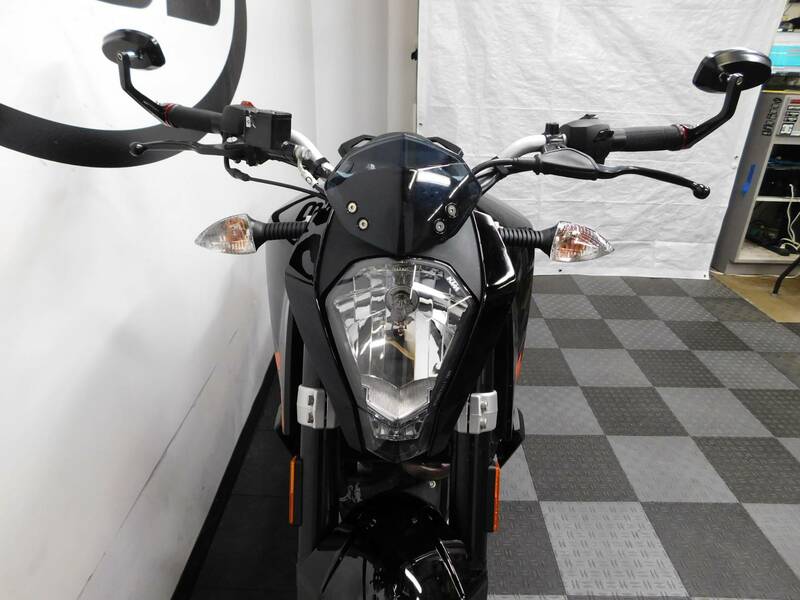 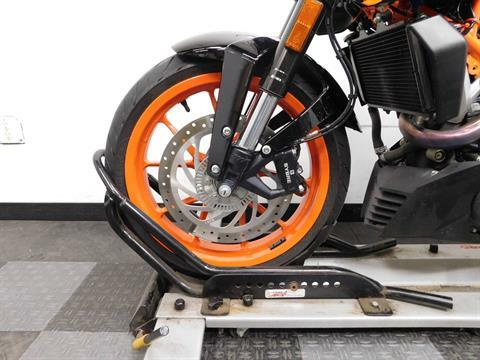 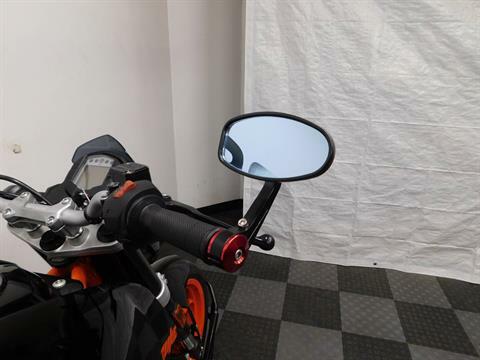 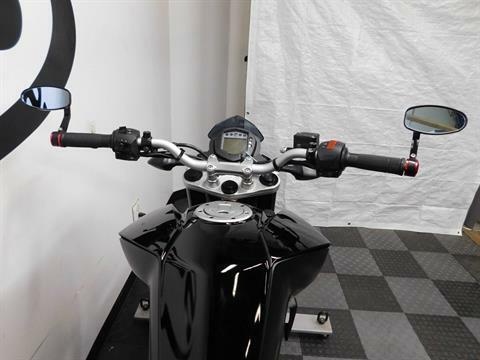 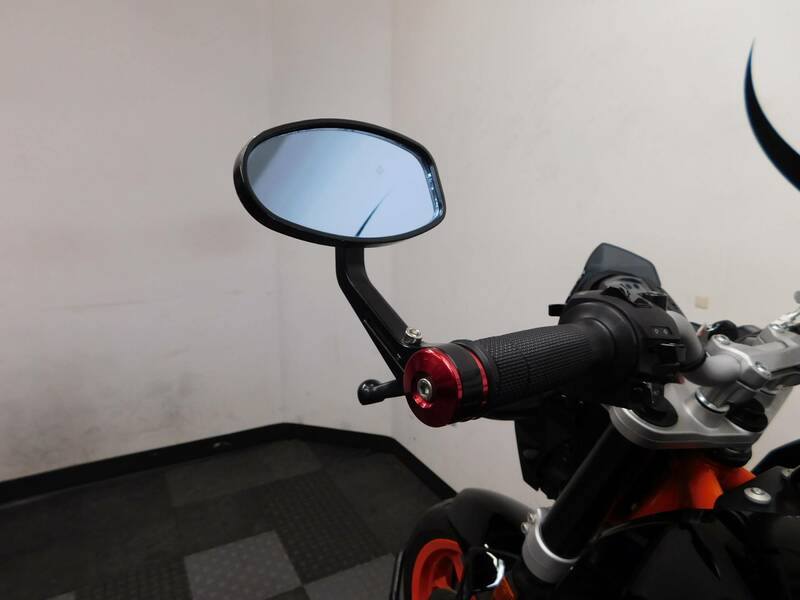 The bike has an upgraded KTM driver seat and bar end mirrors as the only aftermarket accessories on it, so the new owner can customize it the way they want. 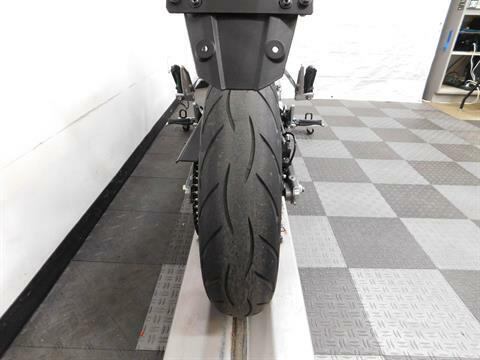 The tires on it are in excellent shape with plenty of miles left on them. 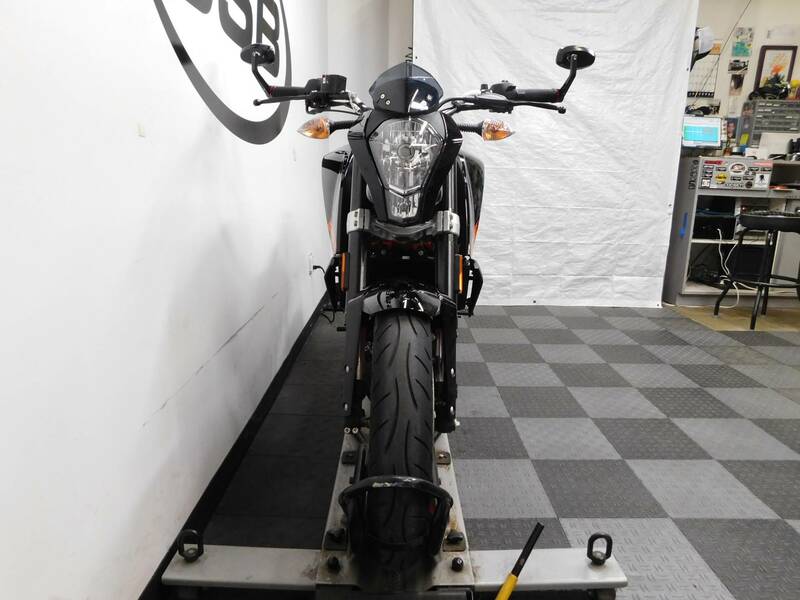 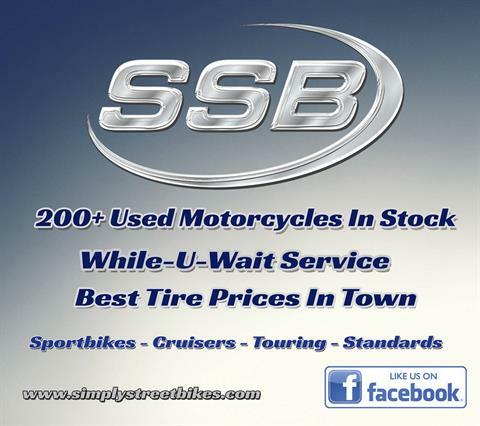 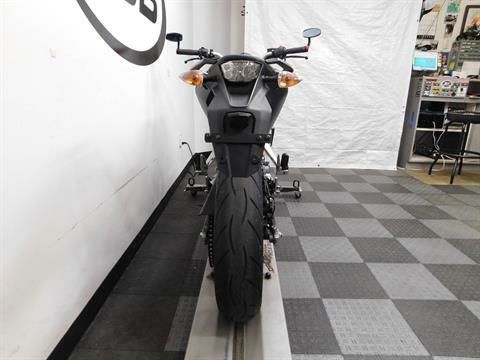 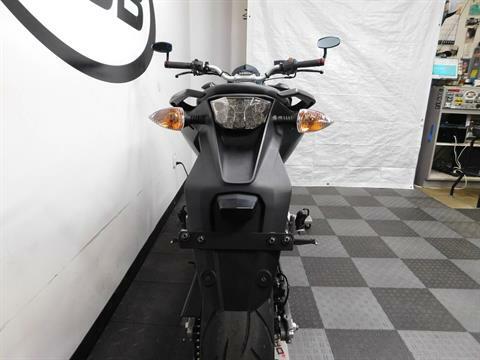 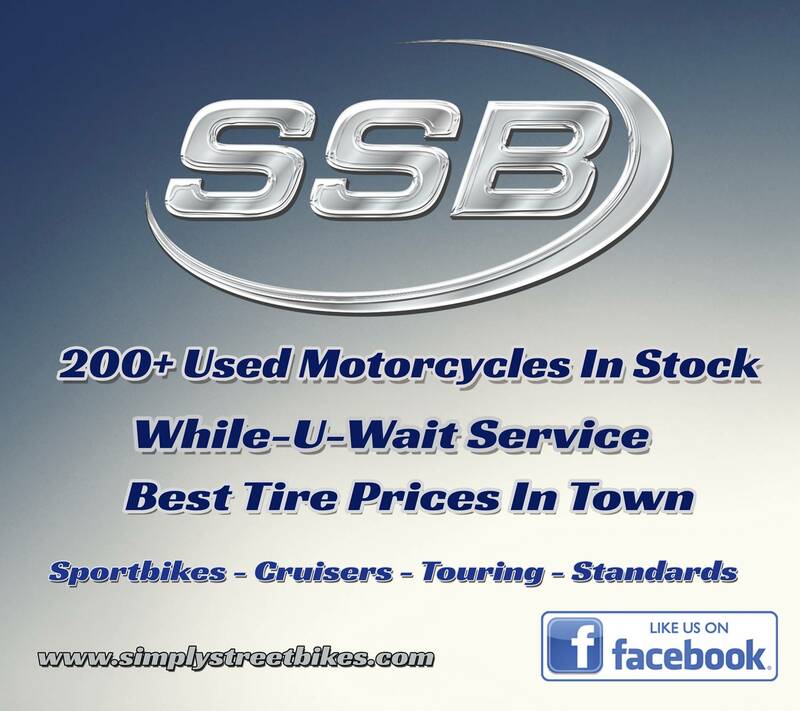 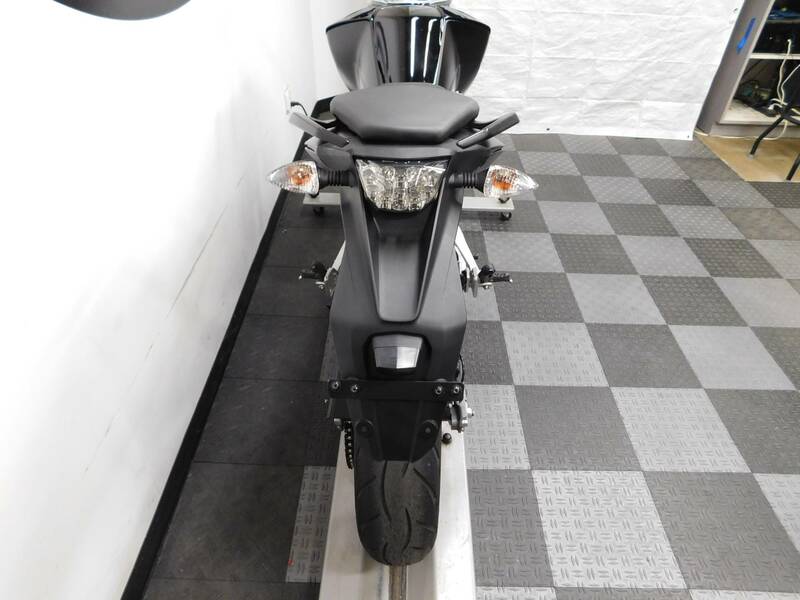 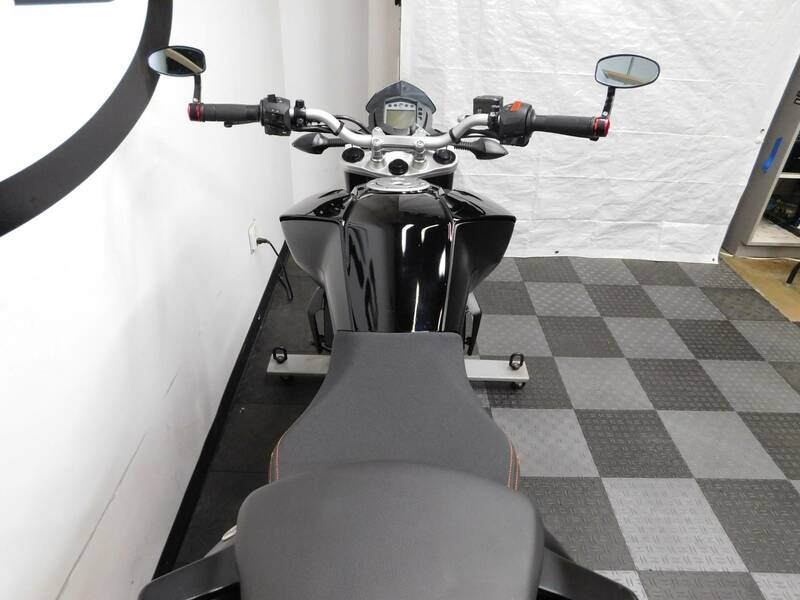 Stop by today to check out this highly sought after motorcycle for yourself! 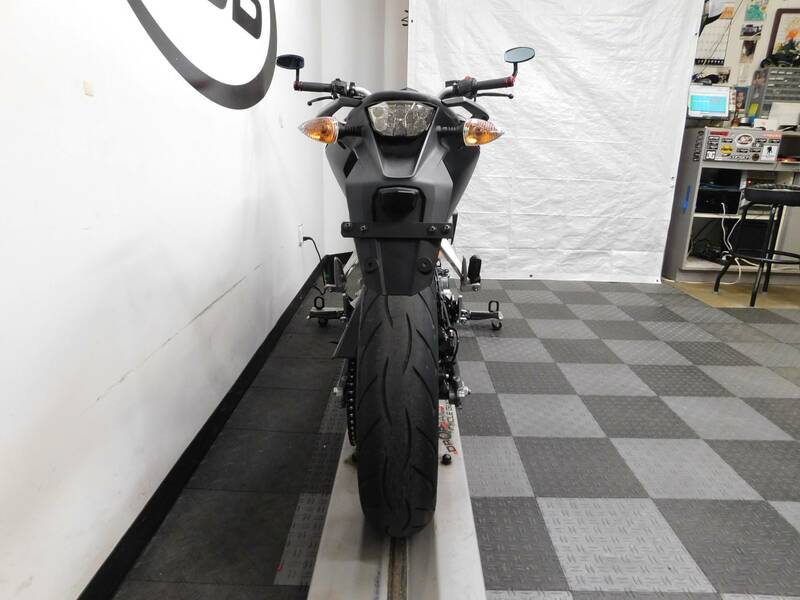 It will not hang around long! FRAME: 32 kW (44 hp) power plus a dry weight of only 139 kg guarantee immense, agile riding fun with the new 390 Duke. 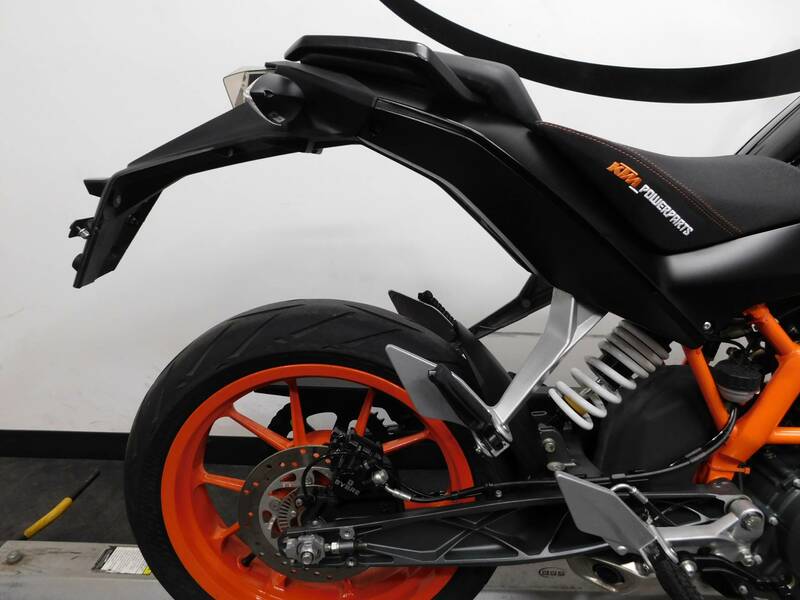 The first-class chassis, with lightweight still trellis frame in the proven KTM design, turns it into a real surfer through the bends. 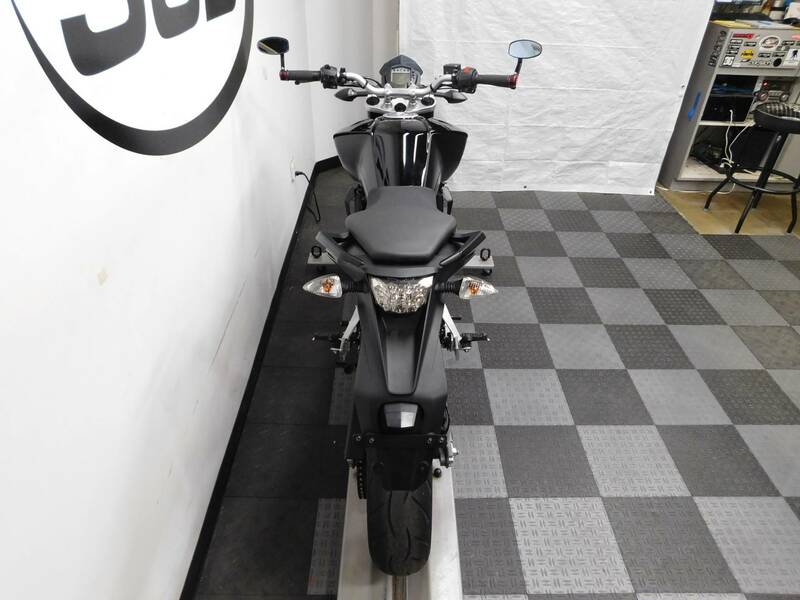 Masses grouped close to the centre of gravity maximise manoeuvrability and precision – and prepare the 390 Duke perfectly for the rush hour slalom. 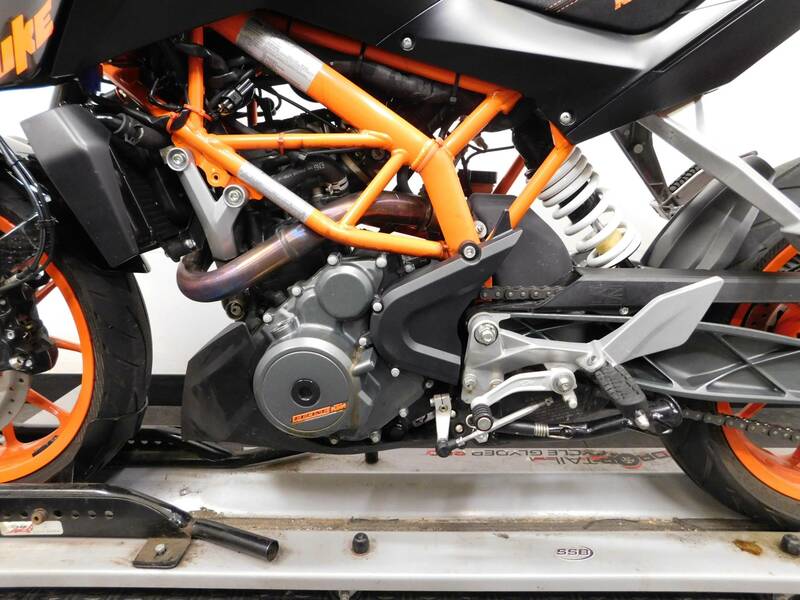 TELESCOPIC FORK: The KTM 390 Duke's high-quality upside-down fork from WP Suspension has the same 43 mm outer tube diameter as the RC8 R – in other words: real racing equipment that guarantees highest levels of stability and precision. 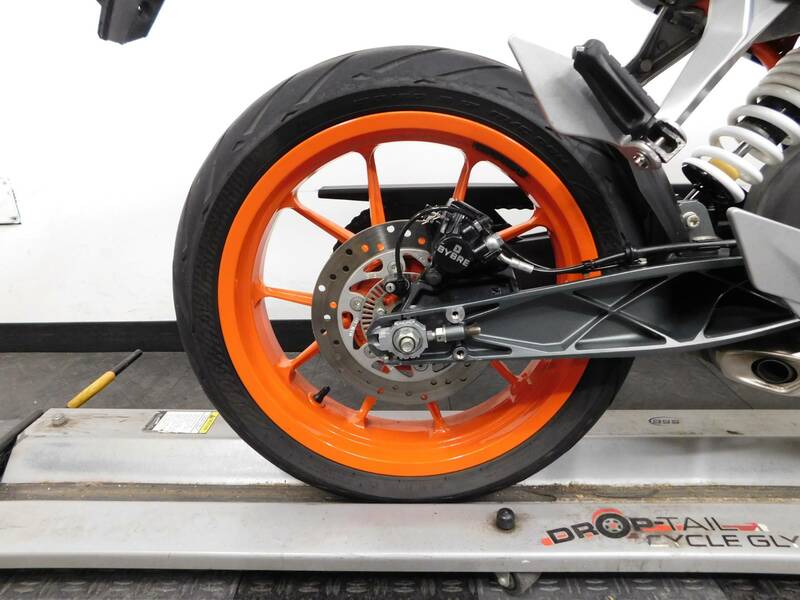 SWINGARM: The 390 Duke's lightweight, high-quality, pin-jointed, die-cast swingarm is designed and produced according to the same principle as the 690 Duke. 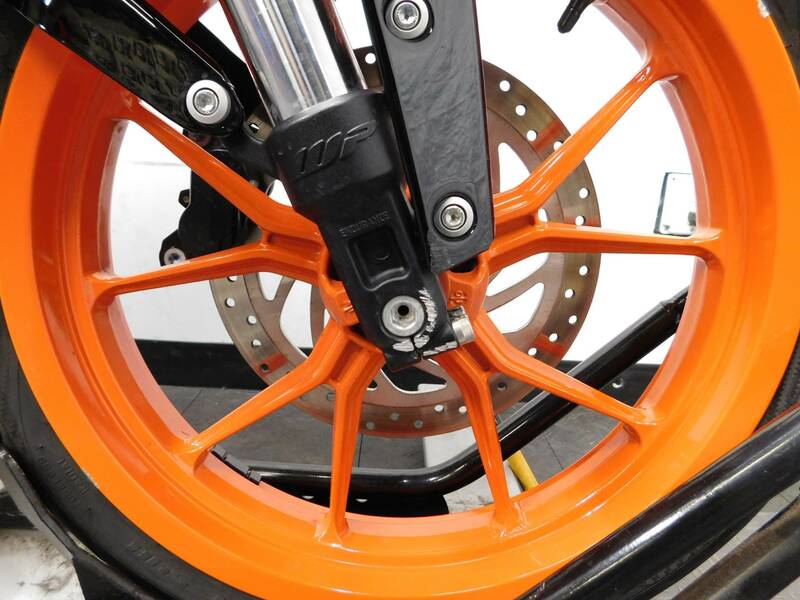 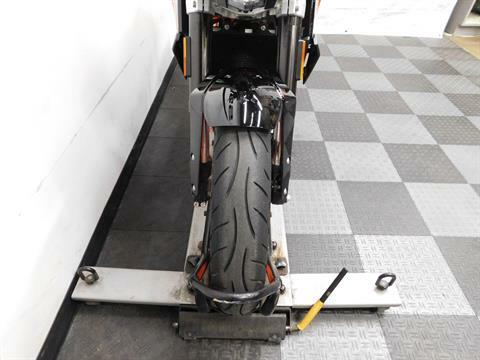 The light alloy swingarm with directly linked WP shock absorber excels with extreme torsional stiffness and outstanding tracking stability. INJECTION: The intricate engine design, state-of-the-art injection electronics and the close-ratio, six-speed transmission not only help the KTM 390 Duke to achieve impressive performance, but also extremely low fuel consumption. 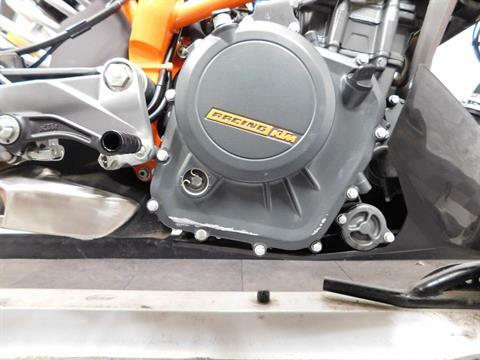 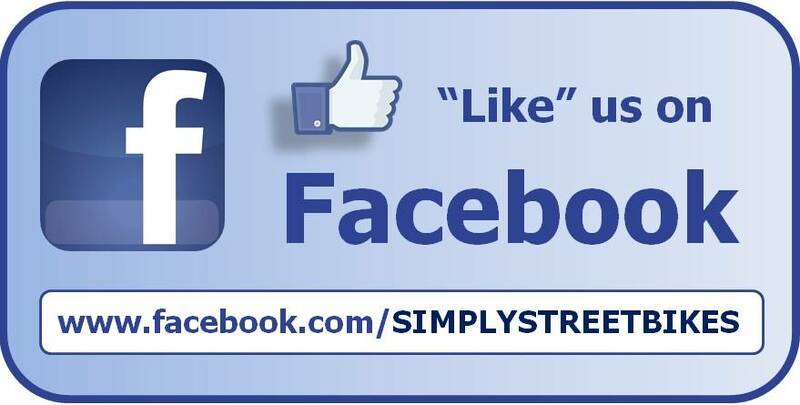 Thanks to the regulated catalytic converter, it produces only minimal emissions. FUEL TANK: The shapely 11 l fuel tank of the 390 Duke not only provides the rider with perfect knee contact, but also with a greater range, even when ridden on the edge, thanks to the economic engine. ERGONOMICS: The KTM 390 Duke provides plenty of space and freedom of movement. 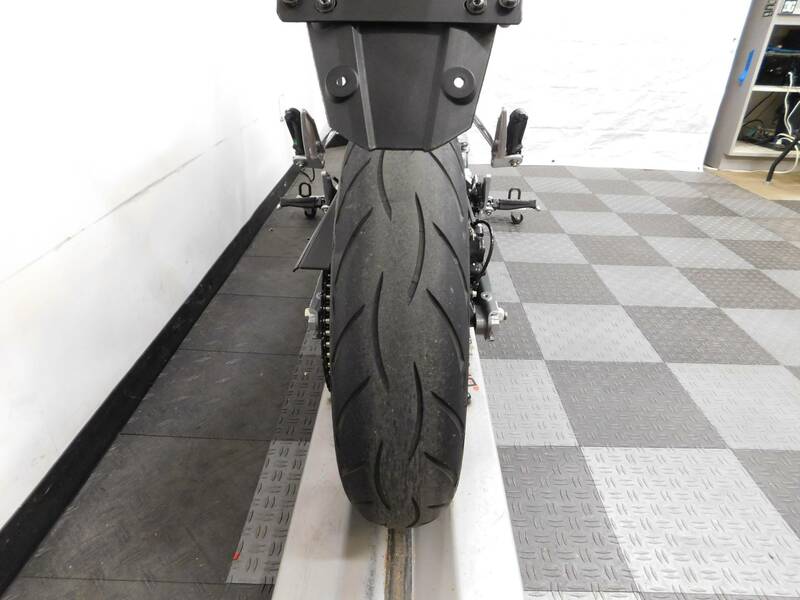 The gathered sitting position supports relaxed touring, alone or two-up, as well as committed cornering. 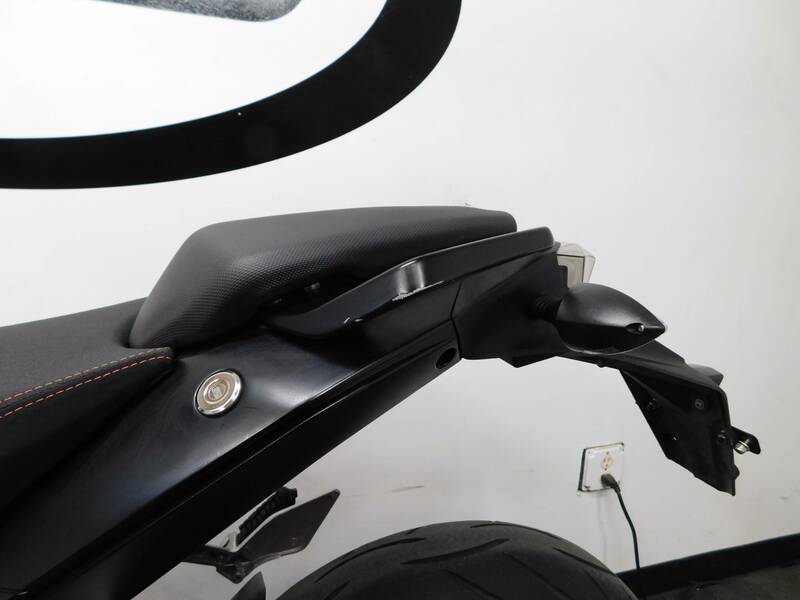 Unsurpassed operability and large contact surfaces ensure optimum control and maximum feedback, with the upright, relaxed sitting position providing a perfect overview everytime. INSTRUMENT: The 390 Duke has everything that distinguishes a genuine KTM from the high-quality chassis components to the multi-function cockpit, which keeps you up to date with fuel consumption and remaining range. 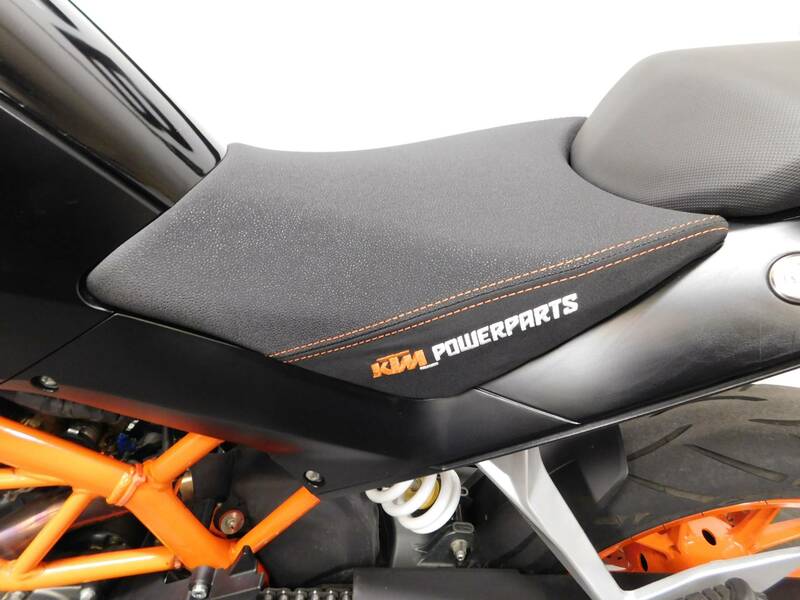 The extensive KTM PowerParts range gives you the option of adding your own individual style. SUITABLE FOR A2 DRIVER'S LICENSE HOLDER: A restricted A2 version (30kW) is available for those riders who just got an A2 driver´s license. 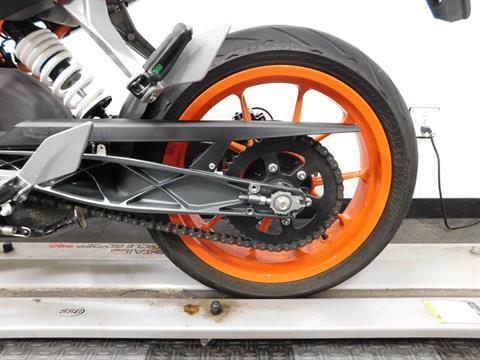 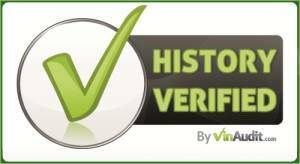 Power restriction is requested due to the extremely lightweight of 390 Duke, in order to fulfill the limit of 0,2 kW/kg. 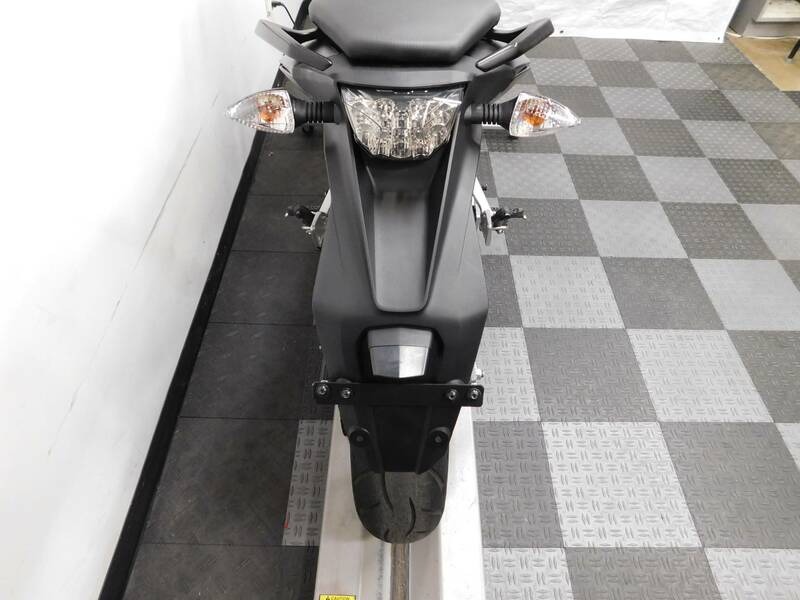 Being so light means dynamic agility and ease to manouver for all riders. CYLINDER HEAD: Just as on the RC8 R, the four valves in the cylinder head of the 390 Duke are actuated by two overhead camshafts and cam levers. 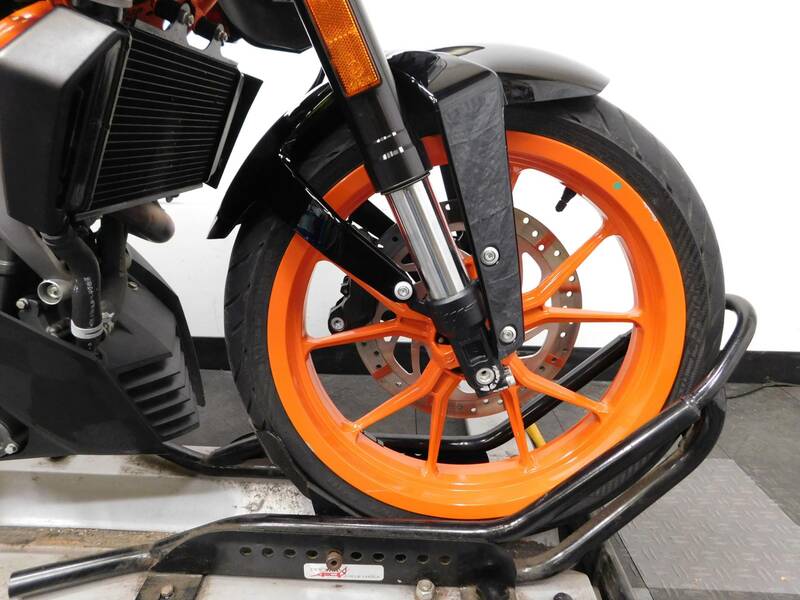 This design is not only extremely reliable, but also very durable and almost frictionless, thanks to the ultra-hard carbon coating of the cam levers - releasing even more power. 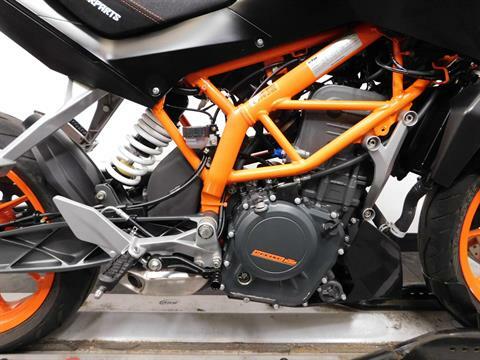 SILENCER: The compact, three-chamber silencer is positioned close to the bike's overall centre of gravity. 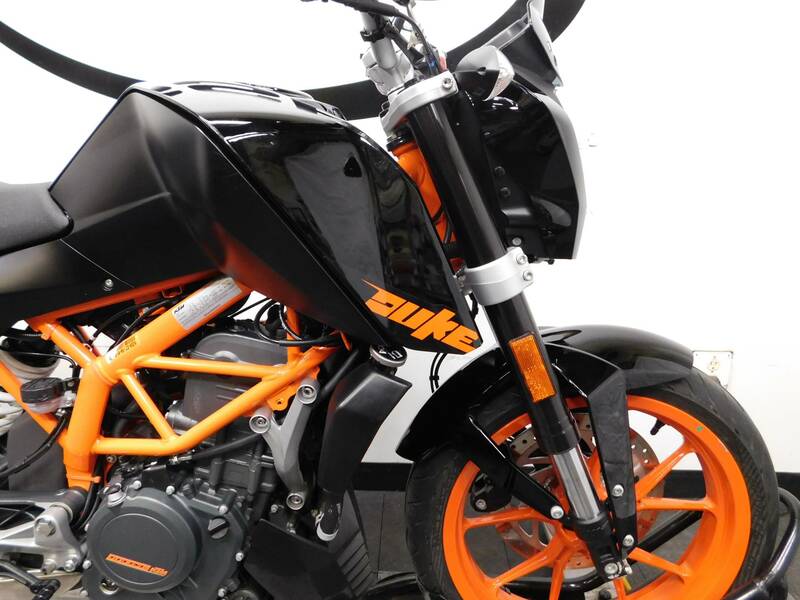 This aids the centralisation of masses and enhances the playful handling of the 390 Duke. 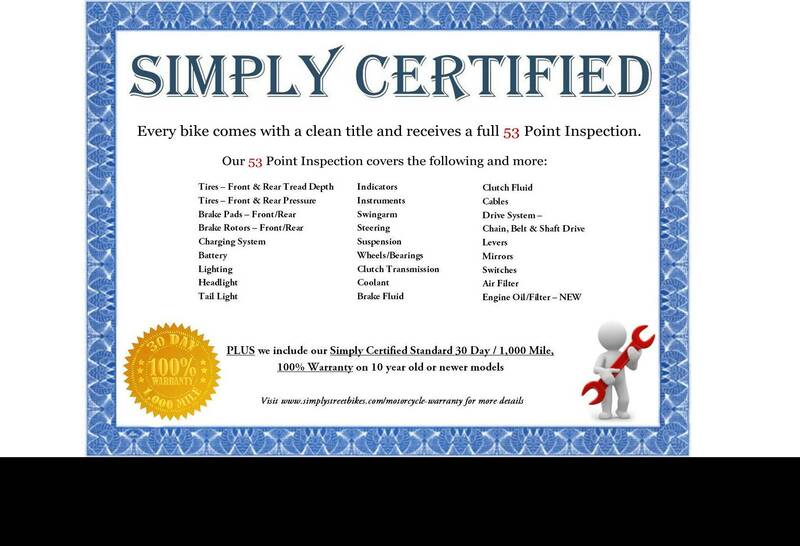 Thanks to a regulated catalytic converter, the emissions are exemplary.